Low Rider + Cheesy one liner = Low liner. Or even Cheesy Rider. Or perhaps Money plus Taste minus An Education. 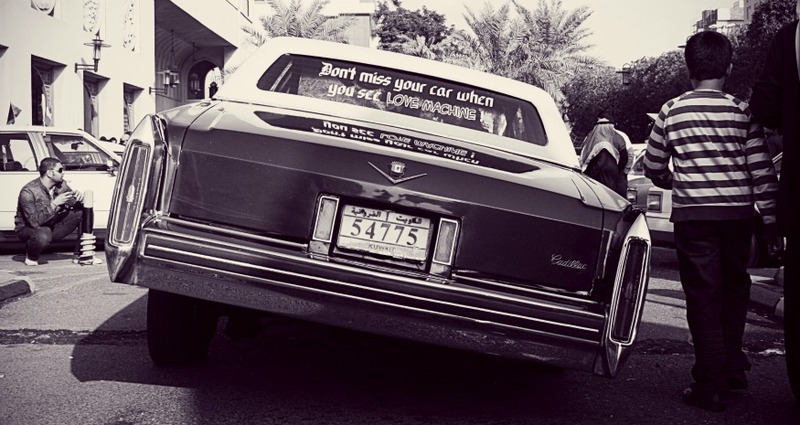 "Don't miss your car when you see Love Machine" reads the back of this cheesy line bearing hydraulics powered Cadillac low rider.